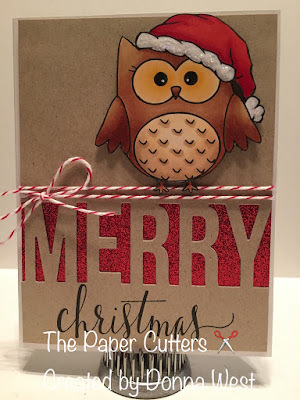 The Paper Cutters: Little Red Wagon Challenge #321 - Sparkle and Shine! Little Red Wagon Challenge #321 - Sparkle and Shine! Hello again! This weeks challenge is a sparkly one! The challenge is to make your project sparkle or shine with glitter, foil or gems! I'm all done with my Christmas cards finally but my daughter needed a card for my grandsons teacher. She asked me if I could make a card with an Owl on it since his teacher loves Owls. I found this cute little Christmas Owl at Sweet n' Sassy Stamps. Here is a link to take a look at all their stamps http://www.sweetnsassystamps.com. I used red glitter paper for my sparkle and and a little Stardust Stickle on the hat. 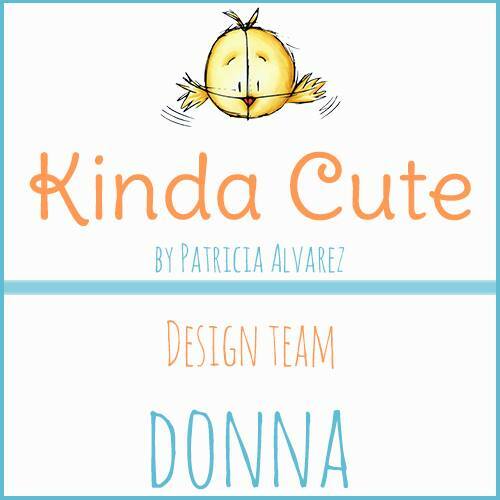 The die and word stamp I used is from My Favorite Things. I colored this week with my Copic markers. Ooooh, loving how you added your sparkle. The big sentiment is awesome. Have a great Chrismtas! I love this. The texture and shine are wonderful! Merry Christmas! Awesome!! Awesome!! Love the owl and the large sentiment. Merry Christmas to you.